Recommendations in the discussion paper include the Federal Government funding a series of pilot exercise programs in residential aged care and community aged care; mandate private health insurance rebates for gym memberships and exercise physiologist sessions for people with dementia and their carers; and that the Federal and State Governments encourage the delivery of exercise programs for people with dementia by offering funding incentives to aged care providers. 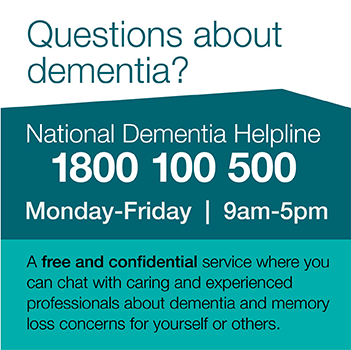 There are also recommendations for aged care providers to put in place exercise programs to improve the social and emotional wellbeing of people with dementia and that they ensure their environments enable mobility and freedom of movement. You can download or read the paper here. More papers are available on our research page.